A 3rd Generation Estate Sale company established in 1972 celebrating 44 years in business. We have assisted thousands of Families, Heirs, Executors, Attorneys, Realtors, Divorcees and others for over four decades now. We conduct & provide full, professional & result orientated estate sale services throughout all of Southern California & beyond. Tanenbaum's Treasures Estate Sales staff has a combined personal property sales experience of over 100 years dealing with antiques, collectibles and everyday personal property. 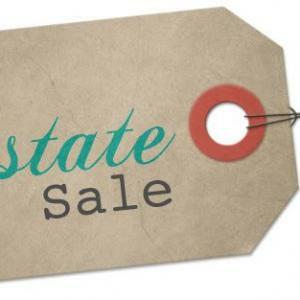 Call us and find out the differences of a true estate sale company. Wonderful past client references can & will be supplied. One call for our free consultation really will do it all. Your situation is unique, and so is our solution... We look forward to and welcome the challenge of assisting you. DAZZLING Mid Century Modern Treasure Hunt EsTaTe SaLe In LOMITA ! FANTASTIC TARZANA EsTaTe SaLe - MCM / Vintage Treasures Galore ! HUGE GARDENA EsTaTe SaLe - RAIN or SHINE ! EXQUISITE & GORGEOUS 3-DAY Murrieta EsTaTe SaLe - RAIN or SHINE ! FUN SEAL BEACH EsTaTe SaLe - RAIN or SHINE, Sale Will Go On ! HUGE COVINA EsTaTe SaLe - RAIN or SHINE ! Beautiful LONG BEACH EsTaTe SaLe - Virginia Country Club Area + Antiquarian & Collectible Books ! BIG Lakewood EsTaTe SaLe + A Fifth Wheel RV & 2 Other Vehicles PLUS TONS MORE ! SUNDAY Everything 50% OFF !!! HUGE, Unbelievably Stunning LAWNDALE EsTaTe SaLe ! VISTA EsTaTe SaLe - POSTPONED BUT STILL COMING SOON ! "Spur Of The Moment" LOS ANGELES (MAR VISTA AREA) EsTaTe SaLe ! FANTASTIC, COOL LONG BEACH EsTaTe SaLe - Back in Bixby Knolls Area ! LARGE RIVERSIDE EsTaTe SaLe ! Come Find Your Treasure ! HUGE 3 DAY Upland EsTaTe SaLe ! + 2005 Buick LeSabre Sedan ! RIVERSIDE Wood Street's EsTaTe SaLe ! Digger's Delight Sale ! BIG LONG BEACH EsTaTe SaLe ! Friday as marked, Saturday 50% OFF !!! HUGE, SUPERB, Treasures Galore Yorba Linda Estate Sale ! Jam Packed House, Garage & Backyard ! HUGE 3 DAY Newport Beach Estate Sale ! Original Owner of Home, Jam Packed ! HUGE, BEAUTIFUL 3 DAY CARSON ESTATE SALE ! Jam packed 2 story home, garage & yard ! BIG HEMET ESTATE SALE ! House, garage & backyard PACKED FULL ! WESTCHESTER Neighborhood of LOS ANGELES EsTaTe SaLe ! SUNDAY 50% OFF, After 12noon 75% OFF ! MONTCLAIR EsTaTe SaLe - Mid Century Modern & Antiques + MORE ! HUGE Los Angeles Mid-Century Modern Asian Fusion EsTaTe SaLe & 1000's of Quality Tools ! BIG GARDEN GROVE EsTaTe SaLe - Saturday & Sunday ! Fun Filled Laguna Woods Village EsTaTe SaLe ! SATURDAY 50% OFF EVERYTHING ! HUGE 3-DAY Chino Hills EsTaTe SaLe - Original Owner of Home ! EXTRA 10% OFF for our Veterans ! GORGEOUS CORONA EsTaTe SaLe ! In The Trilogy at Glen Ivy Area. BIG TORRANCE EsTaTe SaLe ! Resident For Over 45 Years ! MID-CENTURY MODERN / ASIAN FUSION EsTaTe SaLe in GARDENA ! GORGEOUS, HUGE TEMECULA EsTaTe SaLe ! Fine Furnishings, Collectibles & Tons More !!! EXCELLENT, HUGE ( 3-DAY ) LONG BEACH EsTaTe SaLe - Resident Since 1952 ! BIG (3-DAY) LONG BEACH ESTATE SALE ! Digger's Delight Sale ! 1000's of items ! FONTANA ESTATE SALE ! FULL HOUSE, GARAGE & BACKYARD ! MASSIVE, Fabulous 4-DAY Vintage Collectible Filled LONG BEACH EsTaTe SaLe ! LARGE Vintage LAKEWOOD Estate Sale - Resident Since The 1960's ! OUTSTANDING, MASSIVE (4-Day) Long Beach EsTaTe SaLe - Virginia Country Club Area + 2006 Toyota Prius ! AWESOME, HUGE 3-DAY Rancho Palos Verdes Estate Sale & CAR ! ESTATE SALE - Lots Of Vintage Stuff In LOMITA ! Jam Packed Super FUN LONG BEACH ESTATE SALE ! FANTASTIC, MASSIVE 4-DAY Harbor City Estate Sale ! Resident Since the 1950's ! BIG, FUN UPLAND ESTATE SALE - RAIN or SHINE ! SUPERB, MASSIVE Cypress Estate Sale - Former Antique Dealer - Rain or Shine ! FUN LONG BEACH ESTATE SALE - And we're not clowning around ! This company has posted a total of 128 estate sales. Only the most recent 50 sales are shown.